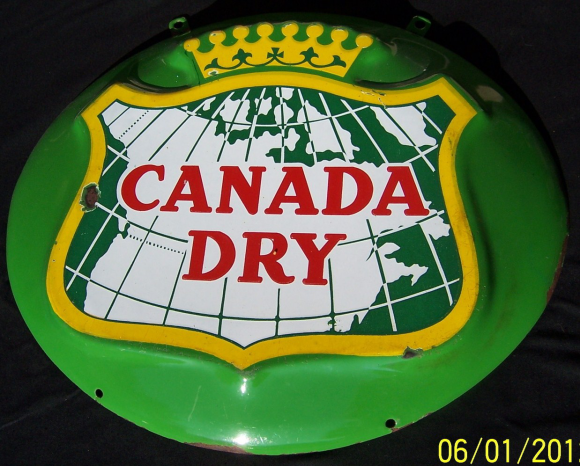 This is a round Canada Dry porcelain sign. This particular Canada Dry sign features an embossed surface. It has a green background with red text and features a map of Canada in the center.